I noticed my hoplo catfish has what appears to be worms hanging out of his gill plates and one of my other fish (species unknown, looks like a fathead minnow) has one attached to it's back. About as long as a grain of rice and white, one end looks like a snakes tongue, a fuzzy white look. Sorry, I have no camera. Fish are wild caught. Is there a broad spectrum paracide? Sounds like anchor worm. Get some dimilin or microbe life lice&anchor worm tx. Shouldn’t take care of it. Just noticed a bump on the fish where the worm emerges from the body. I will have to internet order it as I live in the sticks and I am all but certain Wal Mart wont carry it. Yes Walmart won’t have it. Oh man, cant order till after the 3rd (currently to broke). Hope they make it. Just read that salt treatment is possible? Found an open source pic, pretty sure that's what mine have. Those are anchor worm. Can pull them off till u get the meds. It’s contagious and can spread. 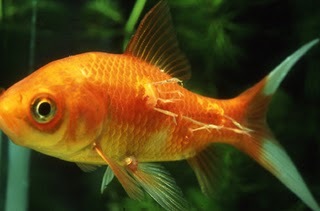 These argulus are common in wild caught fish, and in the confines of a small tank(any tank) can become epidemic in proportion because hosts are so easy to come by. They are actually not worms, but are crustaceans, so chitin inhibitors work well to get rid of them. The only problem with pulling them off, is the wound then becomes a a fertile area for bacteria to infect. In the large space of nature, they are simply an irritant, in small tanks, they become lethal. Been doing some research on this, I have a 29 gallon tank. Many treatments I see are for ponds? Should I just purge the tank and start over? Is it possible rid the tank by pulling them off and frequent vacuuming? and extensive water changes/vacuuming- they should be eradicable??? ?